Three rows of fold up tables filled the gym at Sackville Heights Community Centre for the first ever Paint-Your-Pet event on Saturday. More than 30 women dressed in smocks and white aprons lined the tables and chatted with both friends and strangers. In front of them were an array of paint brushes, colourful paints and a pre-sketched picture of their furry companions. 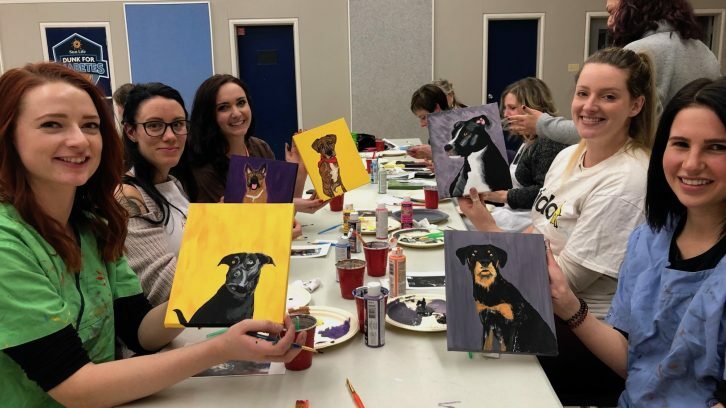 “I host paint nights all the time, but this kind of event is my favourite. Everyone gets to do something different and unique to them, which I think is really cool,” said Sadie Jane, a local artist who hosted the event. Jane drew pre-sketched pet pictures in a paint-by-numbers style. It allowed each artist to play around with the colour and style of their painting, with guidance from Jane. The night was organized by FlyDogs Canine Services, a dog training company, to raise money for Feed Nova Scotia. “When things related to dogs have events like this they always choose a pet organization of some kind, but it’s the winter months and it’s freezing outside. I thought it would be good to help people that really needed it, and in turn, some of the pets that live with them,” said Sarah Terrio, the event’s organizer. Setting the price tag at $40 per person, attendees were instructed to send in photos of their pets for Jane to sketch prior to the event. “It took a few days of prep time for me, but seeing people get so excited about what they get to create makes it all worth it,” said Jane. 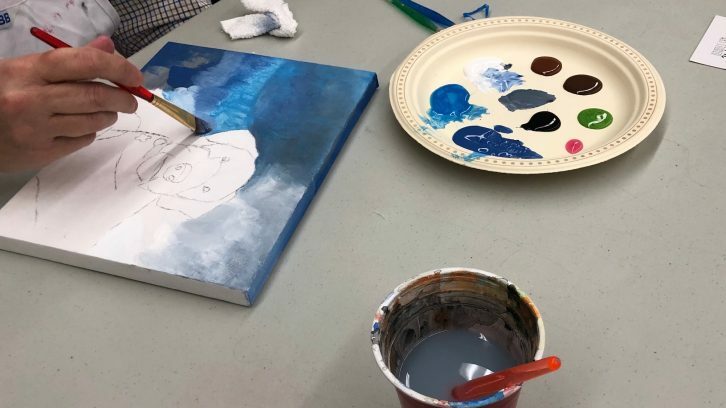 As the owner and operator of Seaborn Art Studio in Tantallon, N.S., Jane tries to participate in as many charity paint nights as possible. “While I’m passionate about my art, I’m also really passionate about painting it forward,” she joked. The event brought in more than $400 for Feed Nova Scotia. Similar events may be hosted in the future, said Terrio. “I would love to be able to do this again; it’s such a fun way to celebrate our pets and help the people in need,” she said. What a great looking class. Have been to many of Sadie Janes classes, she is amazing at what she does. Looks like fun had by all. Great job organizing this and helping the less fortunate.